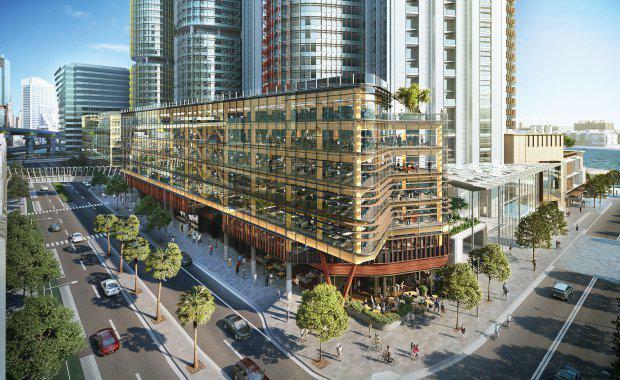 Lendlease has lodged a planning application with the Department of Planning and Environment for a second engineered timber office building at Barangaroo South. The application proposes a "sister building" to International House Sydney, with a total commercial floor space of approximately 10,000sq m and a typical floorplate of approximately 1,700sq m.
The proposal includes 726 square metres of retail shops on the ground floor and 11,022 square metres of commercial space on levels one to six. An outdoor terrace on level six of the building is planned, along with solar panels on the roof. A seven-storey building made from recycled timbers, concrete, charcoal face bricks and a glass façade is proposed for the Barangaroo site, on the western edge of the Sydney CBD. The seven-storey International House by Tzannes is now complete. 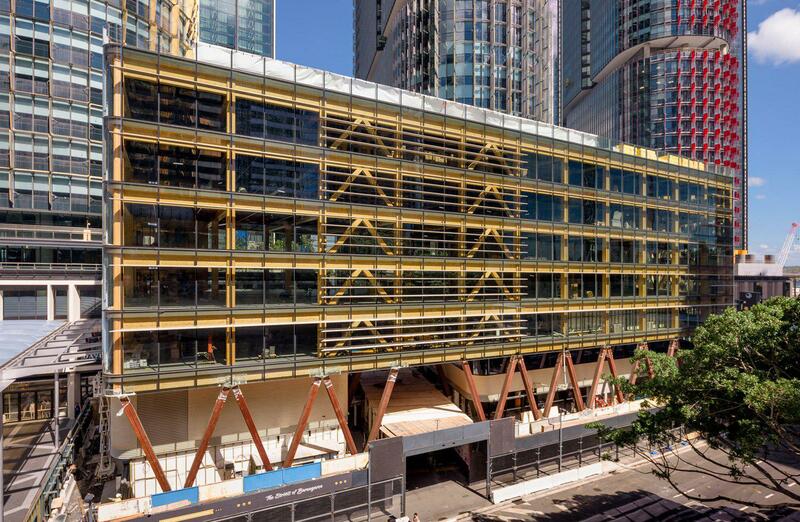 Barangaroo South managing director Rob Deck said that plans for a second timber building at Barangaroo were sparked by the extraordinary interest in International House Sydney -- Australia's first engineered timber office build. International House Sydney was completed in 2017. Lendlease’s DesignMake business and architects Tzannes Associates, who designed International House Sydney, will also be responsible for this building's engineering and design, offering ground level retail tenancies and six floors of office space constructed from cross laminated timber and glulam (glue-laminated timber), a revolutionary building material which has a structural strength akin to concrete and steel. The proposal outlined the building's commitment to sustainability, targeting a 6 Star Green Star Design and and a 5 Star-plus NABERS rating. This building will be Lendlease’s sixth engineered timber building in Australia, joining its neighbour International House Sydney, 25 King in Brisbane, Forte Apartments and Library at The Dock in Melbourne, and Jordan Springs Community Hub in Western Sydney.